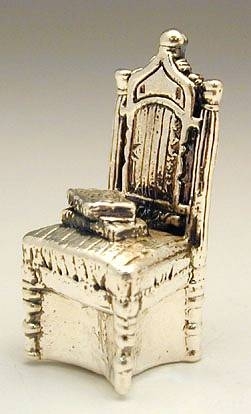 Sterling Silver Chair & Books Miniature Superb artisan 925 sterling silver (NOT silver plated) chair and books miniature. 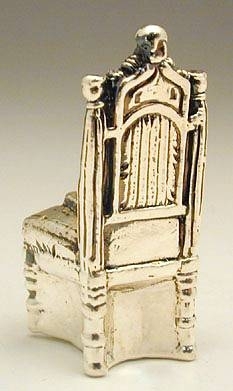 The back of the chair is beautifully stylized, set with two books on it. This item was made in the electroforming method. Measurements: Height: 1.6in. / 4.064cm. Weight: 11gr. / 0.354oz. Marks: 925 for sterling silver.